This article was updated September 2018. 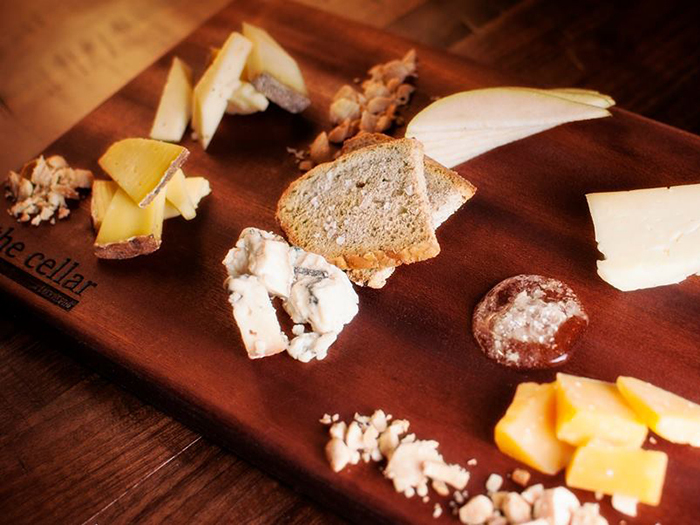 Charcuterie and cheese boards are fancy dinner staples. 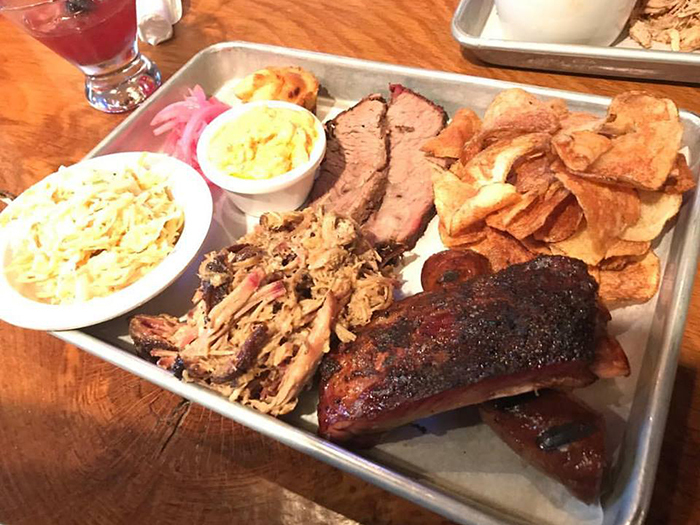 Here are 15 must-try options ranging from $6 to $25+. 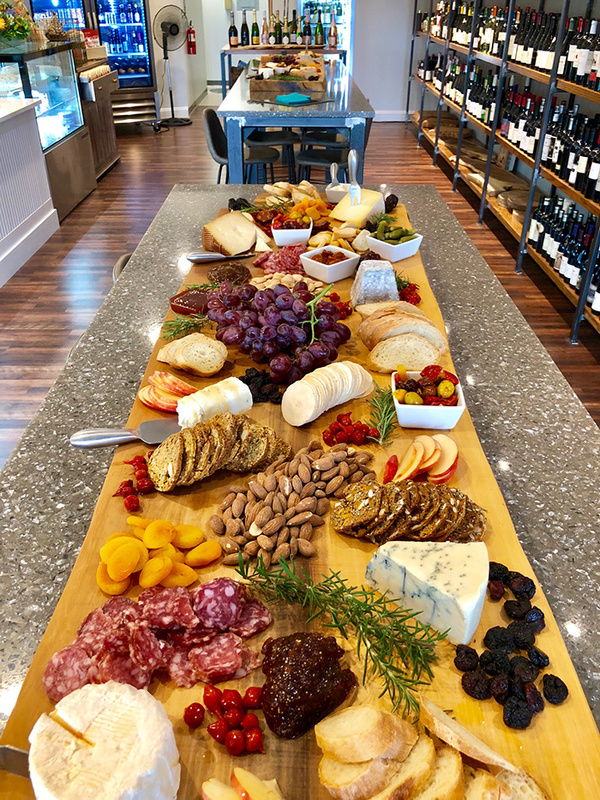 This European-inspired cheese and wine shop recently opened in Dilworth. 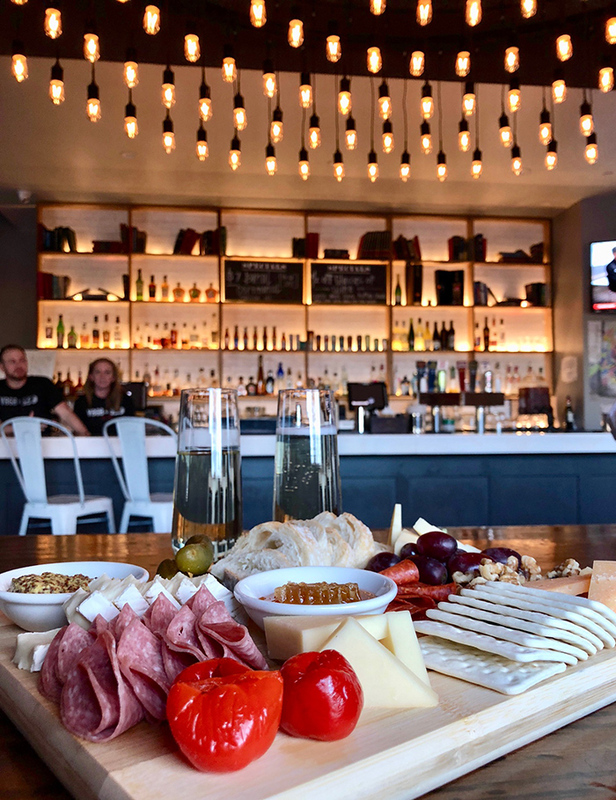 MERE’s offers a large variety of cheeses and charcuterie, specialty boards and featured sandwiches along with wine and craft beer. 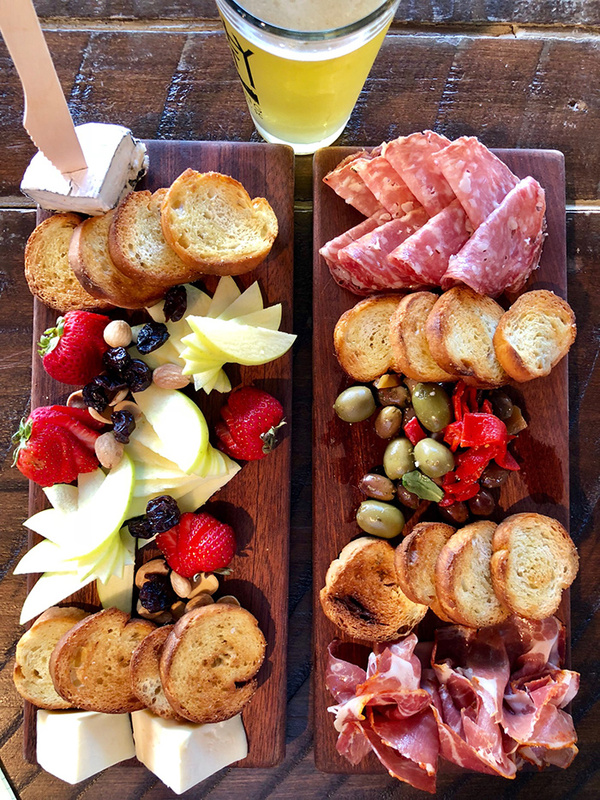 The charcuterie includes olives and prosciutto while the cheese board has two local cheeses with fruit. 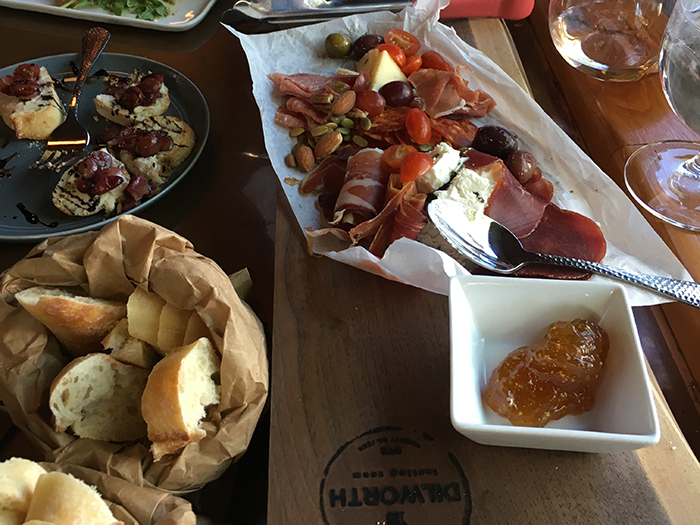 Both come with locally baked bread, and both are only $6 on Wednesdays. 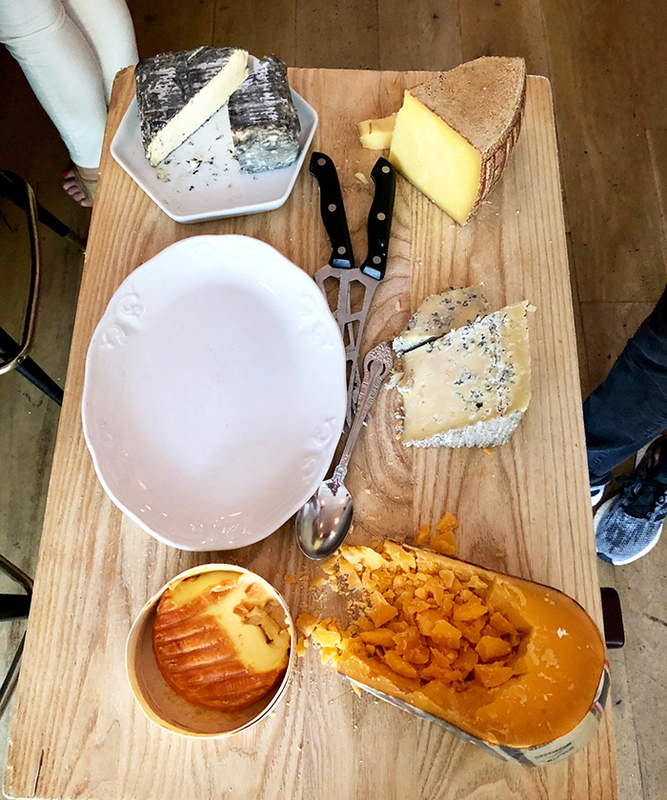 Yes, they bring the cheeses out to your table. Get the crispy oysters afterwards (so good). 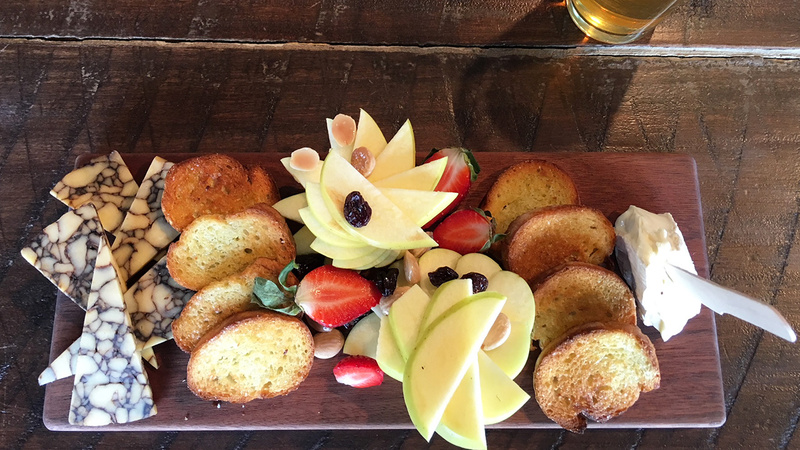 Come for the A Patchwork Orange 5.7% IPA (best-seller) and stay for the cheese. 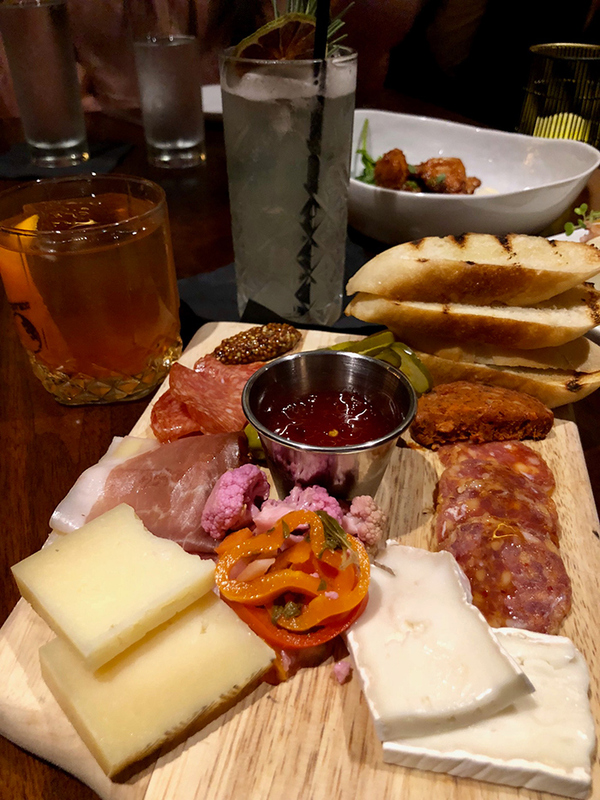 The distillery’s food menu doesn’t disappoint and offers multiple boards, including the Spoke Board (pickles, preserves, $11) and a ham and cheese board (pictured). 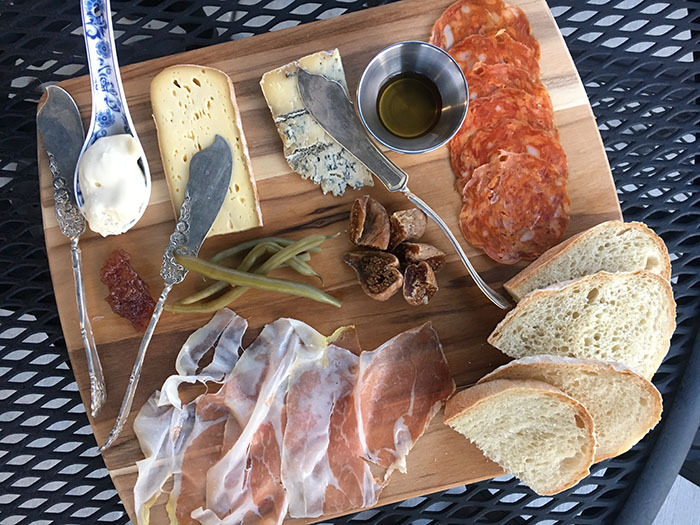 It comes with multiple cheeses, hams, preserves like apple butter and toast for $24. 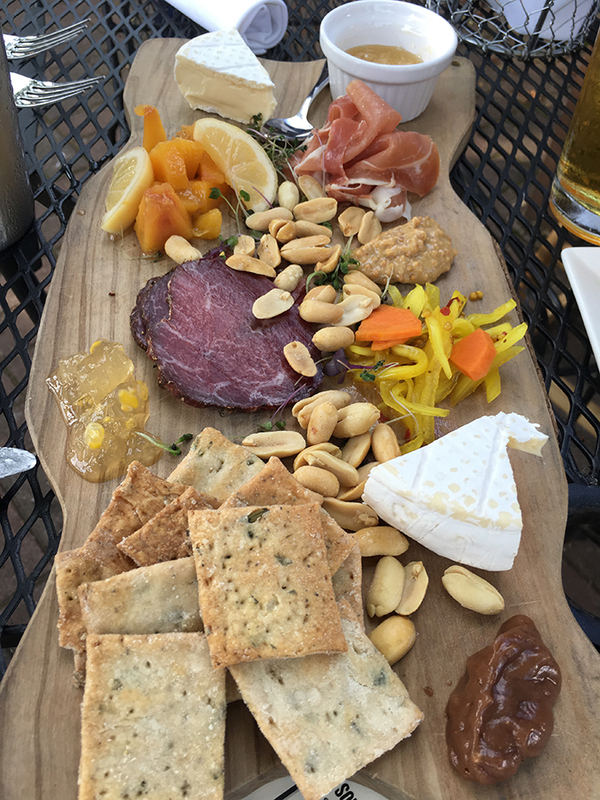 The charcuterie board is exactly what you’d expect with the usual meats and cheeses, but go on a cool night for the patio. 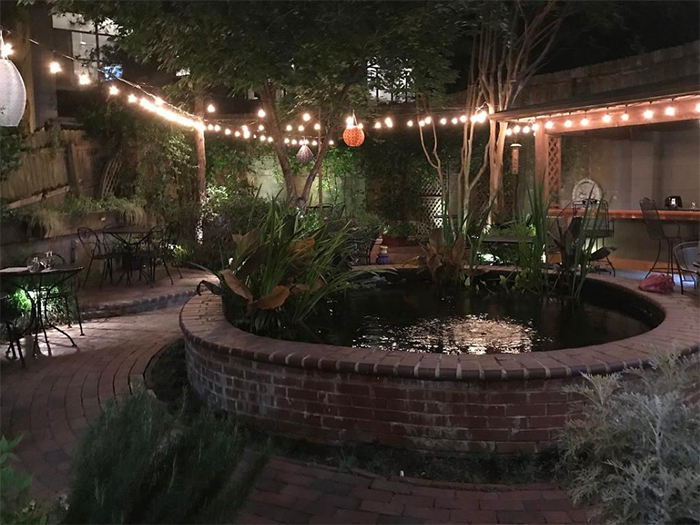 Don’t forget about the Raclette night events at this 7th Street Public Market favorite. 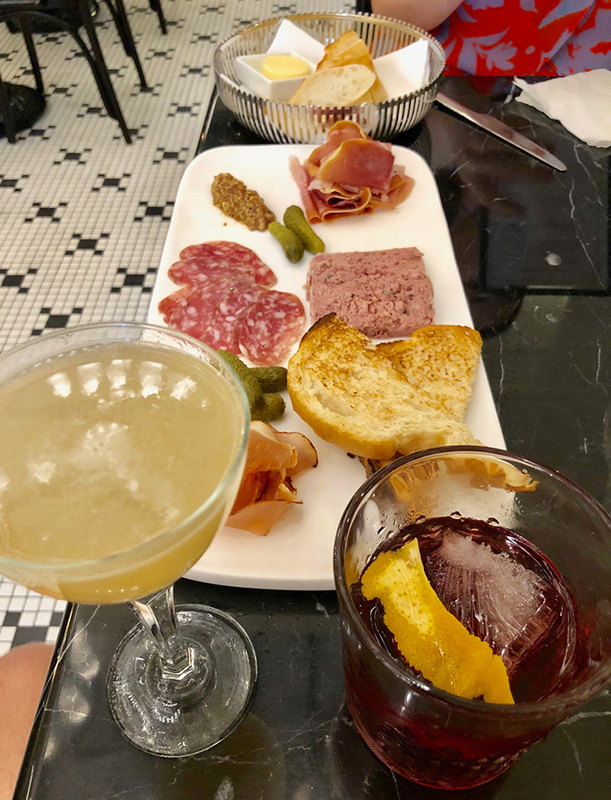 This popular Music Factory bar often does a Wednesday night $15 charcuterie board that includes 2 glasses of craft sangria or wine. Be prepared to sing karaoke afterwards. 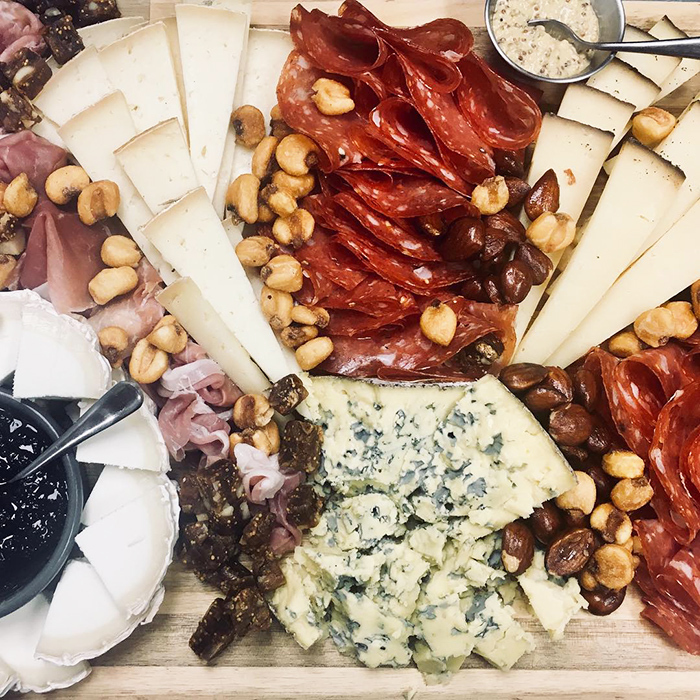 This beautiful, new French restaurant in Uptown offers a charcuterie board with grain mustard for $16 and fromages board for $15 (assortment of french cheeses). 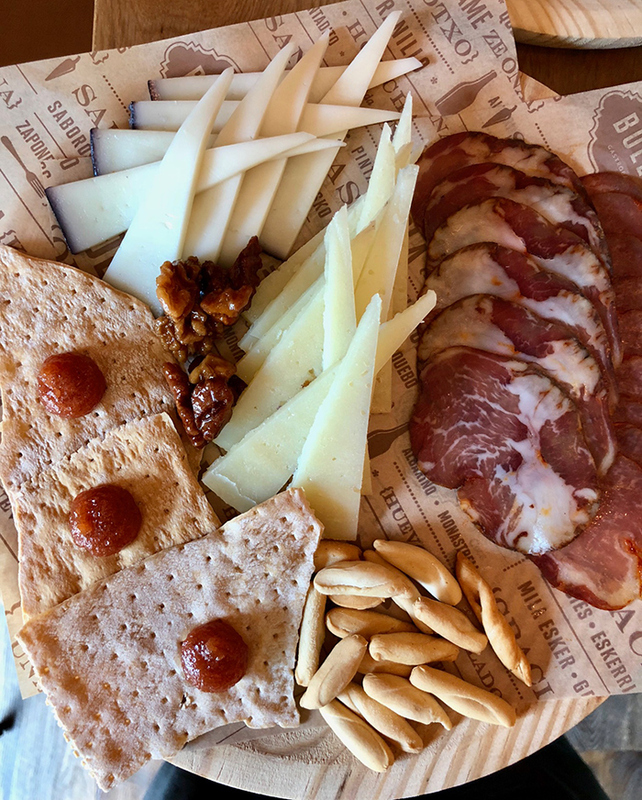 Bulla offers 6 different types of cured meats and 6 different types of queso. 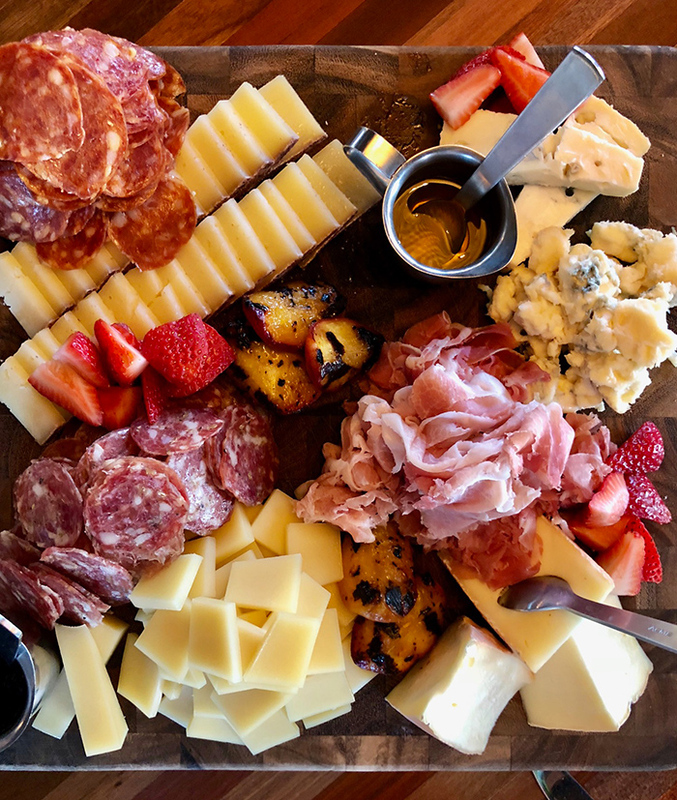 The build-your-own board starts from the ground up with a selection of cheeses ($6 each) and meat additions ($5-$6 per). 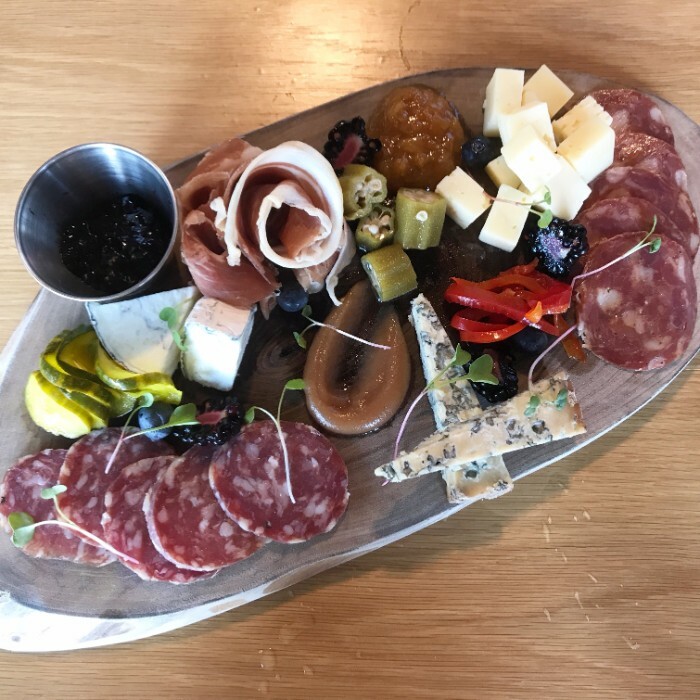 Their $26 house charcuterie board includes an assortment of Chef David’s house-cured charcuterie, aged a minimum of three months in their own temperature and humidity controlled cooler.